The new Mercedes A-Class is less a car and more a smart-phone on wheels, allowing for automation and personalization that few cars can deliver. A new campaign from antoni in Berlin focuses on the way it adapts to the driver, not the other way around. “Just Like You” forgoes traditional auto advertising touches like grilles and wheels and winding roads. Instead, antoni placed people and their stories at the center of the work, using a light-hearted tone and a more human sensibility. The campaign’s hero spot, “Like You,” shines a light on the A-Class’s new MBUX control system in fun ways. “Hey Mercedes, it’s getting hot in here,” one woman says...from the back seat. 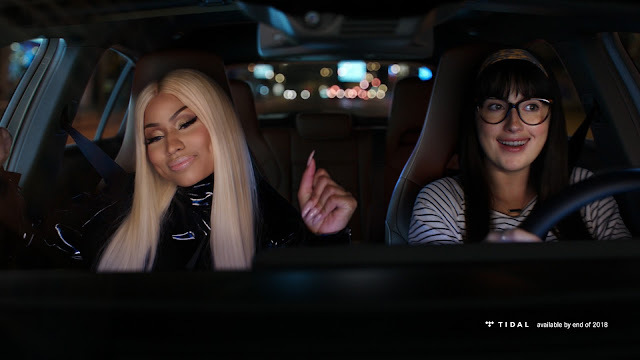 But the real star of the ad is Nicki Minaj, who broke a three-month social media silence to appear in the commercial as part of Mercedes´partnership with Tidal (and may or may not have dropped a few bars of a new single, at least according to Internet speculation). In the remaining ads, antoni talks about the human observations that inspired the A-Class’s product features. “Instinct” helps a man realize how important collision-avoidance technology can be—moments before he trips and plants his face in the pavement. “Touch” shows how irresistible it can be to push buttons and mess with stuff. Conversely, “Habits” raises the important issue of having all of your stuff in exactly the places you wanted it to be—and delivers one of the least likely voice overs ever for a car ad. “If Kate ever finds out who switched her desk chair, she will make them pay,” the narrator says. The films were directed by award-winning director Brian Beletic, while photographer Tom Craig, in collaboration with stylist Bay Garnett, created still images that blend fashion, car design and technology. It was shot on location in Madrid. It will appear globally in TV, social media, digital, out-of-home, and print.